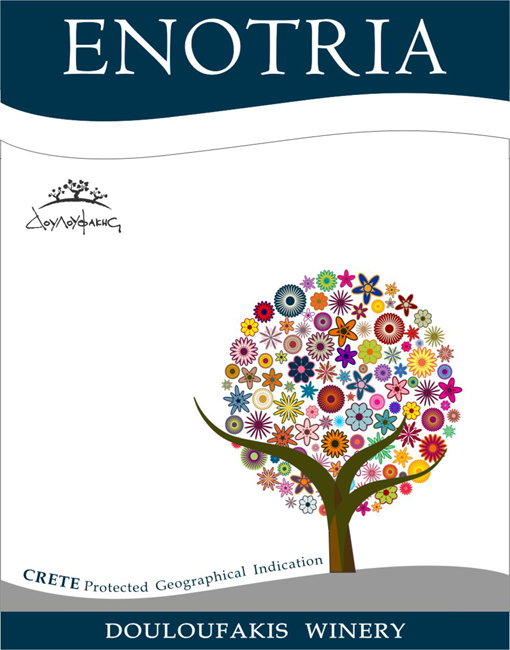 Enotria is the economical series of the Douloufakis Winery. Nevertheless, the quality of these wines makes them the absolute value-for-money choice. 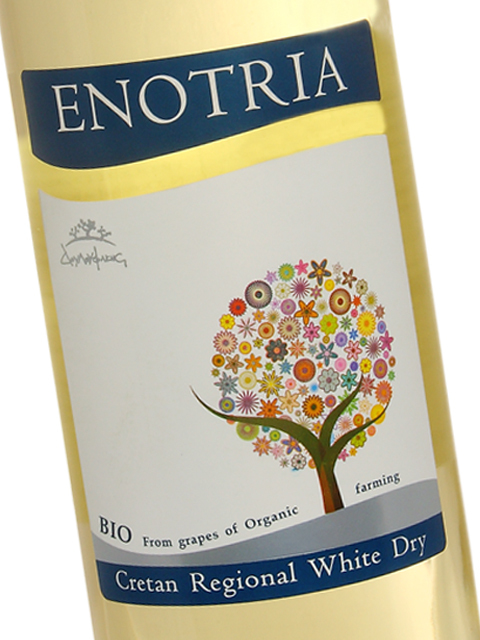 Enotria white is a combination of the Cretan Vilana and the cosmopolitan Sauvignon Blanc. Vilana forms a pure and relatively neutral base, which provides lemon-scented acidity, while Sauvignon Blanc adds to its fragrant character with tropical fruit and a touch of herbs. 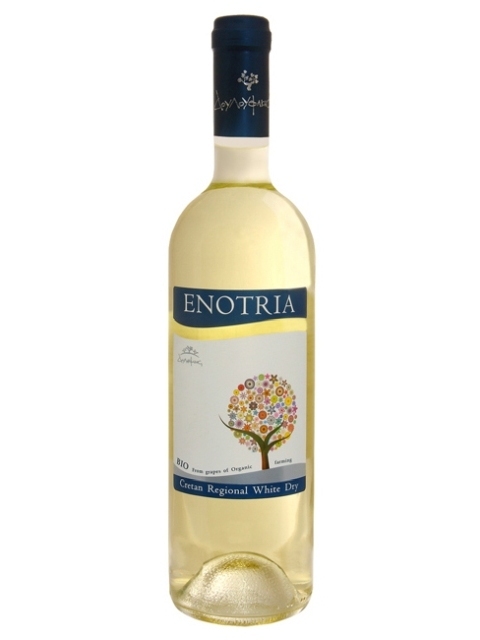 Enotria white is ideal for serving alone, but it also is an exceptionally good choice as a low-priced addition to modern wine lists. It can be combined perfectly with soft white cheeses, seafood, fish and white meat. 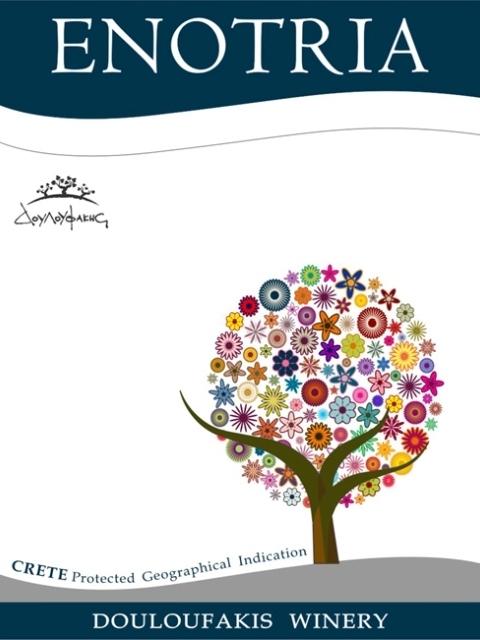 Clean, medium intensity, with aroma characteristics reminiscent of lemon, lime, peach, tropical fruits and cut grass. Dry, medium acidity, medium alcohol, medium body. Medium (+) flavor intensity with flavor characteristics reminiscent of citrus fruits, lemon, lime, grapefruit, green apple, peach and cut grass. Medium finish.